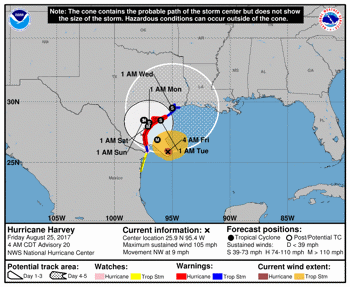 Contact resumption recommended for counties on the far western boundary of the Harvey contact suspension zone. 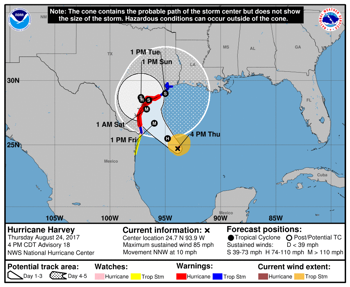 National Hurricane Center says "catastrophic and life-threatening flooding is occurring in southeastern Texas" as Harvey turns towards coast. National Hurricane Center says "extremely serious flooding event is now unfolding." Catastrophic flooding is expected over the next few days as Harvey, now inland, moves slowly northwest. 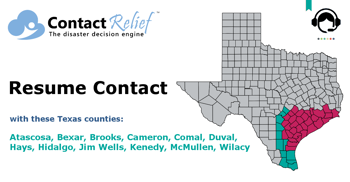 The ContactRelief's Disaster Decision Engine team is tweeting updates on the number of people without power as a result of Hurricane Harvey, now a Category 4 storm. 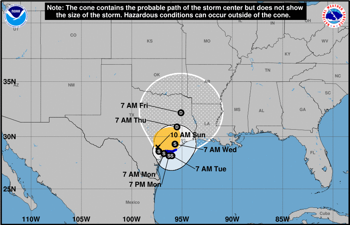 The National Hurricane Center says Hurricane Harvey has intensified into a Category 3 storm ahead of its expected landfall late Friday or early Saturday morning. 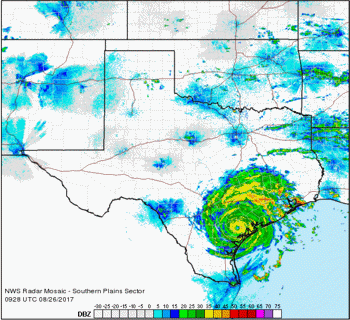 The National Huricane Center says Hurricane Harvey, now a category 2 storm, is "dangerously approaching the Texas coast". 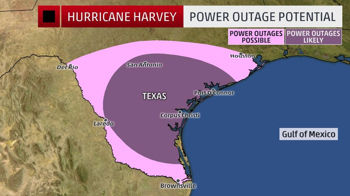 Hurricane Harvey is expected to further strengthen on Friday bringing hurricane force winds, flooding, and a life-threatening storm surge to the coast of Texas.